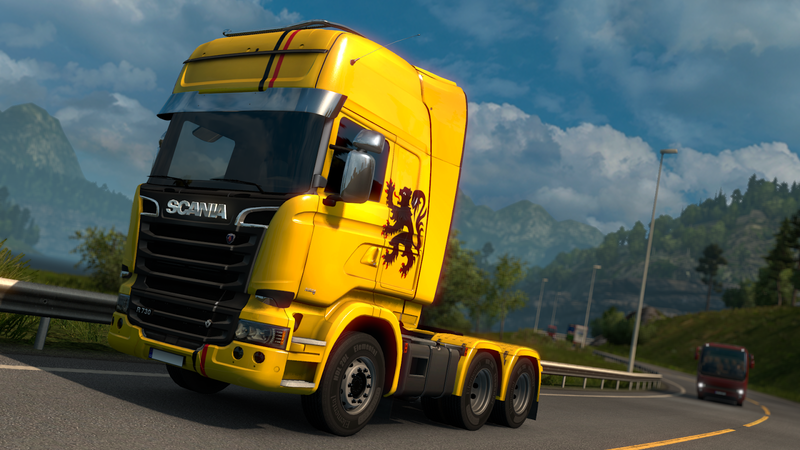 About a week ago, we released a new truck paint job set with Belgium-themed liveries. The goal is always to make the players from a particular country happy with each paint job pack added, but this time we have realized quickly that we had not done our research properly. 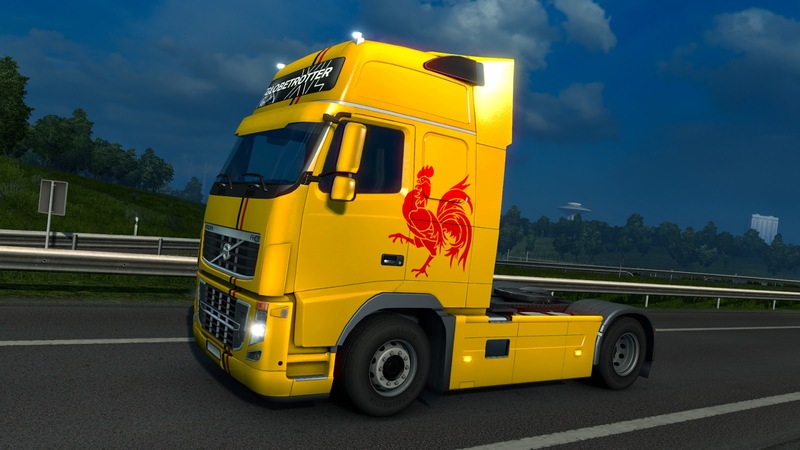 Our choice of stylized Belgian Lion wasn't a particularly good one, and on top of it about half of Belgian players who have bought the new DLC felt that they were not properly represented there. The reworked paintjob pack will be automatically downloaded through Steam.